Janibell Double Sealing Trash Disposal System is specially designed for child care facilities and nursing homes. It is made of a durable nonporous ABS resin which ensures an odor-free and hygienic working environment. With its double sealing lid system, it locks in any odors. 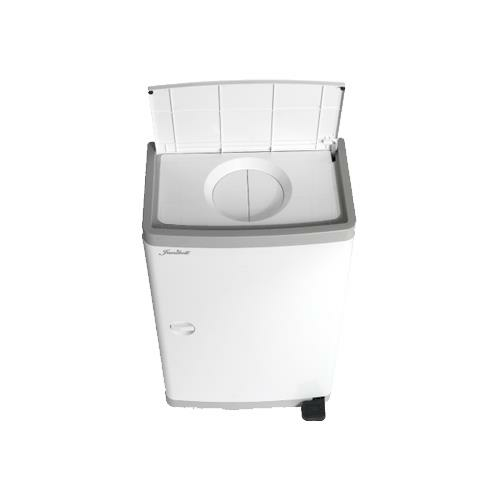 It provides hands-free and flexible disposal, with its foot pedal operation. Dimension 15-3/4" x 10-1/4" x 25-3/16"